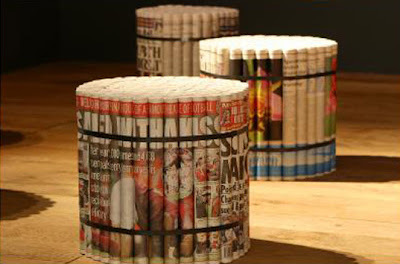 David Stovell's Sunday Paper products consist of tightly rolled newspapers tied together into seating furniture. 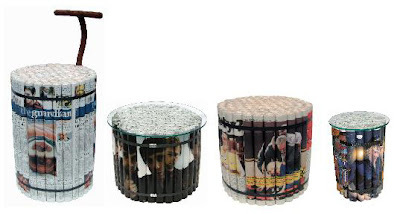 The furniture inspired by newspapers left outside of shops on a Saturday night, explore the "compressed life cycle" of the material. 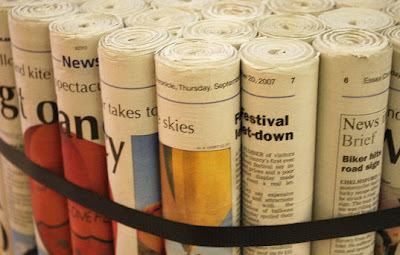 This does remind us of our earlier post 'Creativity with newspaper', and here too the newspapers are been put to good use.